This is a guest post by Leo Widrich. He is the Co-founder of BufferApp, a Twitter app I use daily and can’t live without. You can read his blog and follow him on Twitter. Wow, the new year has really come around fast this time, hasn’t it? One of the things that I find most helpful towards the end of the old year and start of the new one, is to evaluate how I work. Especially, with the huge amount of online tools and the fast pace at which they’re changing, there’s almost always a way to improve my workflows and to make my life that much more efficient. What better time of the year to do so than at the beginning of 2014? Hackpad is a collaborative document-editing tool, which lets you create and save documents that your team members can all view and work on together. Each document gets created by a team member, and then others can be invited to edit it. You can also get a weekly email digest with links to all of the new Hackpad documents that were created that week. Buffer is a powerful social media publishing tool that can send your updates to Twitter, Facebook, LinkedIn, Google+ and App.net. It has powerful analytics built-in to help you understand which posts are working well and what the best time for you to publish your updates is. Plus, you can collaborate with your team to keep your accounts topped up with fresh content. 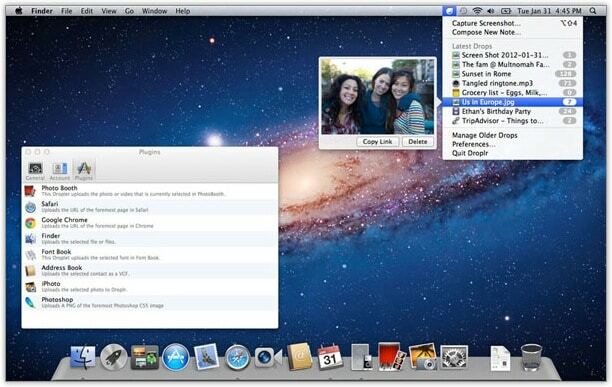 Even with these powerful features, Buffer is still simple to use. It’s the best way to manage your business’s social media presence across the web. Especially with the new Buffer for Business, there’s been a big leap forward in terms of how you can improve your social media with smarter analytics. 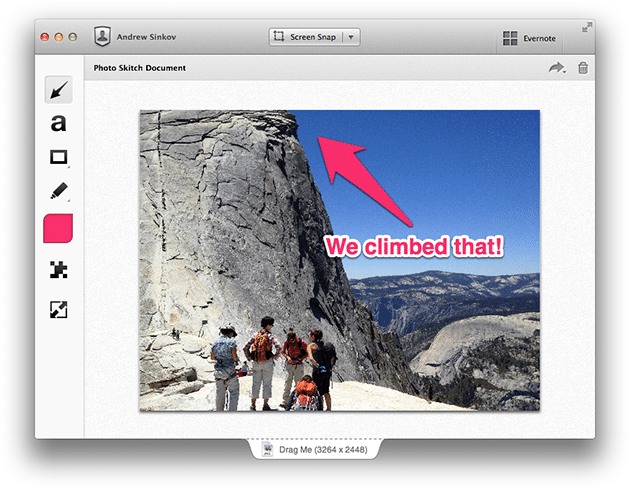 Skitch is a screenshot tool from Evernote that’s extremely simple and lets you make annotated screen captures on the spot. It has a bunch of built-in tools to make this process quick-and-easy, like arrows, circles and text. For shortening links and sharing files, both CloudApp and Droplr are great options. Each of them makes sharing incredibly fast and easy. CloudApp has an excellent feature that lets you automatically upload any screenshot you take, while Droplr lets you add a “+” symbol to the end of any Droplr image link to embed it in a blog post or web site. Kippt is a super stylish way to save all your links from around the web with lots of social features built in. On the one hand you can just use the service by yourself. You find the things you like the most, then save them to one of your lists in Kippt to read them later on and use it as a personal archive. On top of all of this, you can connect with other people using Kippt, follow their lists, comment and like their links. And they can do the same for links you save. You can create shared lists and make them private or public, depending on your preference. iDoneThis is a shared work-diary, essentially, that lets you share what you get done each day with your colleagues. When you login, you can see today’s date and each team member’s list of tasks they completed. Each entry can be liked and commented on, which is a great way to stay in touch with what everyone else is working on and generate discussions about your work. Although you can use a tool like Twitter Counter to watch the growth of your number of Twitter followers, you may want to analyze your followers more carefully. Followerwonk breaks down your followers into demographics so you can understand them better. The best part about Followerwonk is probably the analysis of what time your followers are online. This helps you to know what times you should tweet to reach more people. You can also find out when people you follow are online more often, in case you’re trying to start more discussions with those Twitter users. To monitor your brand’s presence across the web, Mention is one of the best tools around. It includes mentions of your brand or keywords you want to monitor on social networks, forums, blogs and more. It also includes social features to let you respond to mentions of your brand or share industry news that you find. Finding great content to share with your audience is easy with Feedly. Not only can you subscribe to RSS feeds to keep on top of industry blogs or news sites, you can also use Feedly to discover new content around your topics of interest. These are the top tools I’ve used the very most in 2013 and which have had the biggest impact for my online working life. Question: Are there any tools you’d recommend either from the above or in general we should check out for a productive 2014?